Modern garage door remotes work with rolling codes and that means there'll be no interference with other frequencies and no way anyone can copy your codes. If you have modern clickers, it means that you have modern openers and that's vital for your safety according to Garage Door Repair Columbia Heights. Most release ropes need to pushed down and towards the opener unit in order to disconnect the opener from the door. It’s important to discover how your own release cord works so that you will know what to do when there is an emergency. 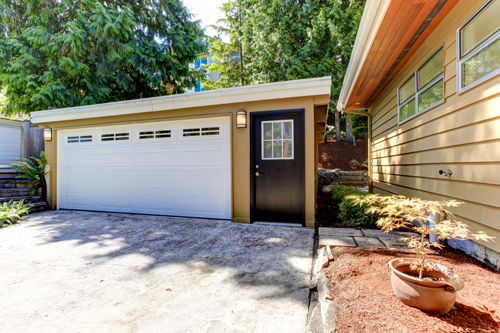 The safety sensors attached to your garage door will detect when there is something in the way of your doors. When this occurs, you will notice that your doors will begin to auto reverse. Make sure your sensors work to ensure your safety. When they wear, these hardware parts staying above the door become dull and turn much slower. They will usually make scraping sounds as well. It is important to get worn pulleys replaced as soon as possible as they may leave the door hanging on one side and cause damage to connected components such as the cables. You should certainly consider a stronger component with a greater cycle life. It will work reliably for a longer time than the previous ones. Make sure that it is made from galvanized steel which is resistant to corrosion. With proper maintenance, a spring can last even longer.